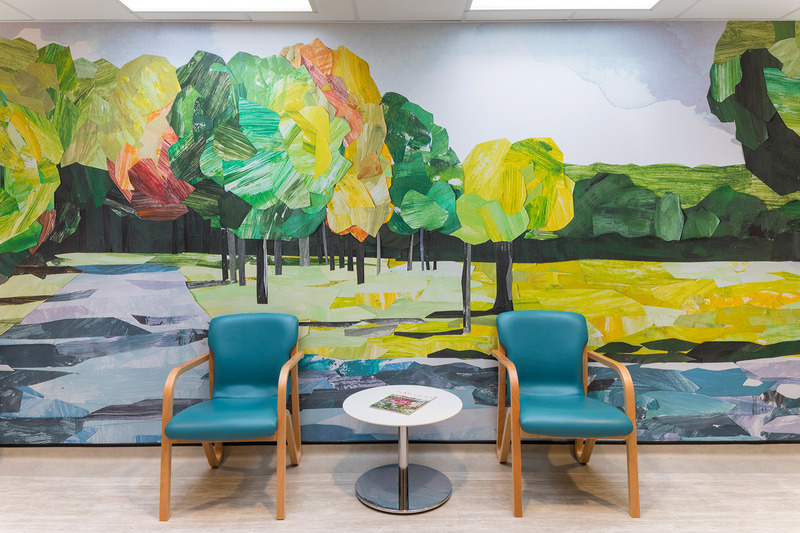 Having previously worked with Oxleas NHS Foundation Trust on the design for their new Acorns Children’s Center, we recognised the value of a co-design workshop in delivering an inclusive, collaborative wall graphic. 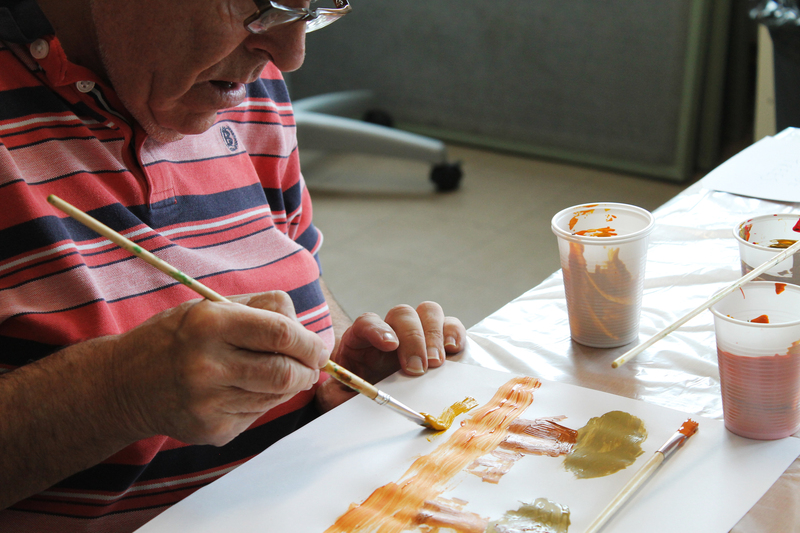 The aim for the workshop was to work alongside staff and service users from Adults with Learning Disabilities(ALD) to develop an artwork that could provide a positive focal point in the waiting area. A photographic competition captured the attention of many and provided the perfect starting point for the design. 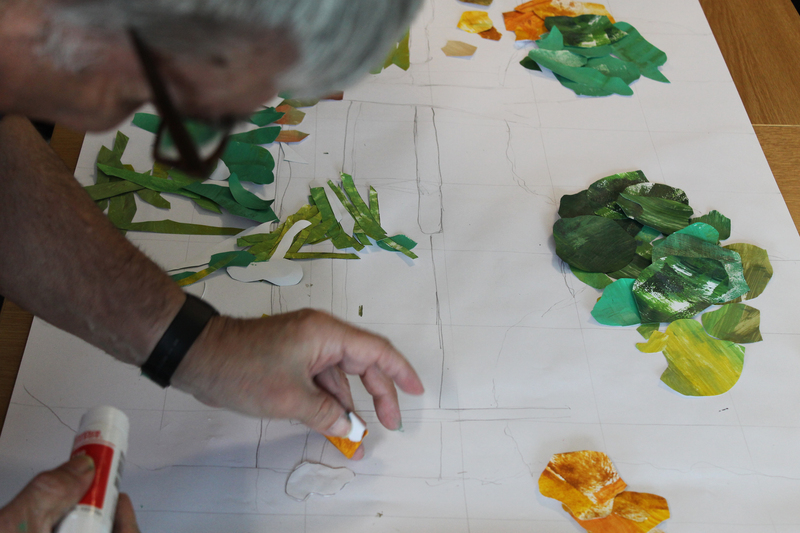 We believe less is more when it comes to a successful workshop which is why we chose to break the workshop into three simple components; painting, cutting and collaging. Layer by layer, service users worked together to create the essence of the photograph building in depth, perspective and texture. We wanted everyone involved to feel empowered to think like artists and designers and be confident they had all had an important part to play.